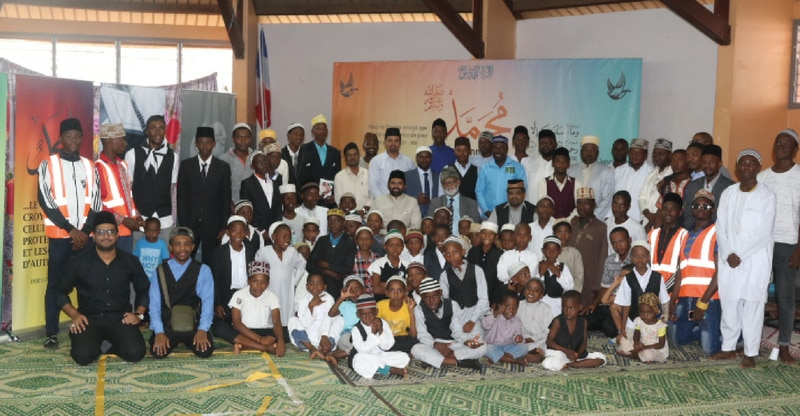 Jamaat-e-Ahmadiyya Mayotte successfully held its first Jalsa Salana on 21 and 22 December 2018. The Jalsa was organised in the municipal hall of Koungou Town where 230 Jamaat members assembled for this historic occasion. A delegation of eight members of Mauritius Jamaat led by the Amir of Mauritius also attended the Jalsa, the theme of which was Muhammadsa, the Prince of Peace. Several external guests also graced the event with their presence. The Jalsa started with the Friday prayers led by the missionary in-charge of Mauritius, Mujeeb Ahmad Sahib followed by the flag-hoisting ceremony and the opening address by Amir Sahib Mauritius. The second day was marked by several speeches. The local Sadr of Mayotte Jamaat, Imam Zaidou Saindou Sahib read out a message of Hazrat Khalifatul Masih Vaa to the participants of Jalsa Salana Mayotte in the local language. Shameem Jamal Ahmad Sahib, Sadr Majlis Khuddam-ul-Ahmadiyya Mauritius delivered a speech on Islam and World Peace. I had the opportunity to speak on the subject of Muhammad, the Prince of Peace. My speech was followed by the closing speech and prayer by Amir Sahib Mauritius. All the participants of this historic Jalsa Salana had a group photo after the end of the proceedings. Alhamdolillah, the Jalsa was a success on all fronts despite initial apprehensions of a backlash from the local non-Ahmadi population. By the grace of Allah and with the prayers of Hazrat Khalifatul Masih V, may Allah be his Helper, and with the zeal and fervour of the local Ahmadis, this convention proved to be a landmark in the history of Islam Ahmadiyyat in Mayotte Island. 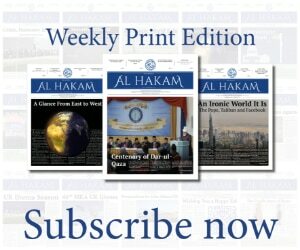 Alhamdolillah.